High fructose corn syrup is an inexpensive sweetener that was officially chemically engineered or "discovered" by Yoshiyuki Takasaki in 1965 by The Japanese National Agency of Advanced Industrial Science and Technology (JAIST). This highly concentrated hfcs syrup was quickly aporoved by the United States FDA and begain being used in food production as the main or only sweetener replacing sugar. There seemed to be a race in the 1980's to convert production from sweeting with sugar to sweetening with high fructose corn syrup. This was due to the cheap cost of high fructose corn syrup as compared to sugar which was in high demand and required a warm tropical climate to grow. Most sugar cane at that time and still to this day was and is imported due to the limited climate for produciton in the United States being in far south Florida. Imported sugar cane is highly taxed and domestically grown corn is subsidized, this seemed to be a win win situaiton to the producers of processed foods and beverages with the low cost of this sweetener. Food manufacturers rushed to switch their factories from production with natural suger which is a crystalline ingredient to high fructose corn syrup which is a liquida ingredient. If you were consuming soda beverages in the 1980's you will remember the big hype of new coke versus classic coke, crystal pepsi, the disappearance of the 8 pack carton of glass soda bottles, Michael Jackson and his pepsi commercials, the Madonna soda controversy, blind taste tests, and all of the other media hype and controversies surrounding soda beverages. It is our belief that all of this press, media an controversy were disguising the switch from sugar to high fructose corn syrup as the primary sweetener in soda pops. In the years prior the introduciton of high fructose corn syrup as the soda sweetener the glas soda bottle was the promary packaging with the ingredients being printed on the cap. With the switch to sweetening with HFCS for sodas the ingredients list greww and the glass bottle disappeared. Obesity rates in the United States were at about 10 percent in 1980 and skyrocketed to 28 percent in 1998. From 1998 to to 2017 the rate went from 28 percent to 38 percent. What is interesting is that in 1998 the U. S. FDA approved sucralose (Splenda TM) for use as a sweetener. The reader may make their own interpretations of these figures. When one examines rates of diabetes over the years a steep increase in rates from 2 percent of populatin with diabetes in 1982 to 4 percent of the U. S. Population in 1998. From 1998 to 2006 the diabetes rate jumped to 6 percent of the U. S. Population, In 2017 the rate had doubled to 12.2 percent. In 1976 the consumption per capita of high fructose corn syup was 0 pounds annually and 102 pounds of natural sugar. By 1998 per capita consumption of HFCS had grown to its high point of 63 pounds of high fructose corn syrup annually and consumption of sugar per capita had dropped to 63 pounds. Current consumptions are skyrocketing as addictions to enhanced sweetened foods become an epidemic. According to the USDA - ERS world consumption of high fructose corn syrup is lead by the United States, Argentina, Canada, Mexico and Japan. These five counties consume more than 90 percent of the high fructose corn syrup that is produced world wide. Obesity rates in 2017 for these countries are as follows, United States = 32.0%, Argentina = 20.8%, Canada = 22.7%, Mexico = 23% and Japan = 3.6%. While many factors contribute to these rates such as food prices, average weekly exercise, weekly walking habits, etc. we believe that there is a direct correlation of consumption of high fructose corn syrup and obesity rates. High fructose corn syrup is made of six ingredients as listed below. The list may seem short but the ingredients get quite complicated. Water and corn are the primary ingredients and are quite familiar to most and each seems harmless if not healthful. The remaining four ingredients signal the controversy that surrounds high fructose corn syrup. You might be familiar with ingredient number three yet we are sure that you didn't expect it to be sulfric acid. The remaning three ingredients are probably not so familiar, these area alpha-amylase, glucoamylase and glucose isomarase complete the list. These six ingredients are what are used to manufacture high fructose corn syrup, a highly concentrated and inexpensive sweetener. Corn or specifically yellow dent no. 2 corn which is a type of corn that will yield a high amount of starch. Dent corn is commonly known as "field corn" and has a dent at the top of the kernel. Dent corn was hybridized by a farmer and his son named Reed in the mid 1800's. Dent corn is high starch and is ground into corn meal that is used to make corn chips, corn bread, tortillas, etc. A specific type of Dent corn known as yellow dent no. 2 is used in making high fructose corn syrup. The No. 2 is a grade for the corn which is set by the U.S. Department of Agriculture, this grade sets that a bushel of Yellow Dent Corn weighing 54 pounds and contains not more than .2% heat damaged kernels and not more than 5% total damaged kernels and maximum 3% broken corn and foreign material. It is this grade of corn that is used for the manufacturing of HFCS also known as the processing of high fructose corn syrup. Yellow Dent No. 2 is used for high fructose corn syrup as it is cheap and other than for livestock feed has limited uses. Livestock more often are fed a no. 1 dent corn with less foreign particles. Other types of corn that are available world wide yet not used in production of high fructose corn syrup are whitge dent corn, flint corn, pod corn, sweet corn, flour corn and pop corn. White dent corn is used for roasting, frying and creaming and is soft and uniform with two ears per stalk and a 180 day grown time yet is not used to manufacture HFCS. Flint corn is also known as indian corn and has a very hard shell, most flint corn is grown and used in central and south america where it is grown and used in the making of hominy which is a way of preserving corn. Flint corn is also used for decorative purposes yet is not used to make high fructose corn syrup. Pod corn is believed to be the original strian of corn that mother nature produced millions of years ago before hybridization and genetic modificaiton processes. This mother of all corns is unique as each kernel of corn is enclosed in its own indivitual hust. This highly ornamental corn is edible yet is most often used for ornamental purposes as it is quite unique and striking yet highly labor intensive for consumputon purposes. Pod corn does not have a high starch content and is not desirable for use in production of high fructose corn syrup. Sweet corn is grown for human consumption due to its soft shell and is harvested and consumed by humans as corn on the cob when young. Sweet corn is naturally sweet in taste yet is not used for production of high fructose corn syrup as it is most valuable as a fresh vegetable and the difficulties of storage for future procution. Flour corn is used for production of baking flours. The kernals are ground and pulverized and used for baking flour as it is high in starch, low in protein and does not contain gluten. The hard exterior of flour corn makes it undesirable for the producton of high fructose corn syrup as the additional enzymes and energy required in the process make it finanancially less desirabel in the produciton of high fructose corn syrup than yellow dent corn. Finally pop corn is a type of corn that is used for human consumption as a snack food. Pop corn became popular during the great depression as it was inexpensive, consumption increased three fold during this period. Another explosion of consumption occured in the 1980's when micorwave pop corn became popular. Pop corn has a very hard and water impermeable shell that makes it impossible for use in the produciton of high fructose corn syrup. Sulfuric acid or alternatively known as sulphuric acid is a colorless, odorless, syrup like substance that is soluble in water. Sulfuric acid even in small concentrations is highly corrosive to the skin. Approximately 60% of sulfuric acid produced in the United States is used for fertilizer profuction. Other uses include refining oil, procesing wastewater and chemical synthesis wich includes production of high fructose corn syrup. This chemical synthesis is the processing of manipulation through chemical proceses to obtain a desired product or products. Thus sulfuric acid initiates and facilitates the chemical process that produces high fructose corn syrup from water and yellow dent no. 2 corn. Alpha-amylase is an enzyme that is produced by the human body, found in seeds and secreted by fungi. Alpha amylase is an enzyme found in the saliva and pancreatic fluids that convert starches and glycogen into simple sugar within the body. This a-Amylase is a protein enzyme that undegoes a chemical reactgion with water causing it to break down large starch particles into glucose and maltose. Glucoamylase is used in the making of high fructose corn syrup and is an enzyme that is hyrdrolyzes the glucose bond in starches and dextrins. In short, this enzyme is used to convert starch to sugar through a chemical reacation with water. Glucose isomarase is an enzyme that is produced by a bacteria that is found in the soil. This Streptomyces rubiginosus bacteria produces the glucose isomarase which is used to change molecular arrangement while the molecular composition remains the same. Glucose isomarase is used in food production and processing to texture meat products, firm up fish meat, and transform solid forms to liquid form. This process is reversable so a solid may be transformed to a liquid and then back to a solid. This can be compared to boiling water or freezing water changing from liquid to gas to solid. The blucose isomarase is a reactin that stable and not dependant upon refrigeration or heating thus is stable until reversed. High fructose corn syrup is made from a process that begins with soaking the yellow dent no. 2 corn in water that is heated to 140 degrees farenheit for approximately 16 hours. A specific amount of sulfuric acid is added to this mixture. The sulfuric acid is a catalyst that initiates and promotes a chemical reaction in which the starch and the fiber of the corn are softened and separated. After the 16 hour soaking time the corn water mixture is sufficiently softened to continue production of high fructose corn syrup. The softened corn is damaged and ground up to produce a slightly viscous corn mash. The corn no longer looks like a corn kernel yet a mash of corn that resembles what is known as "creamed corn" with bits of kernel suspended in a milk like mash. To continue the process of making high fructose corn syrup, the 16 hour mash continues to be heated and alpha amalyse is added to the mixture. The alpha-amylase begins a chemical reaction with the water that begins to break the large starch particles down. This reaction with water is known as hydrolyses or to hydrolyze, a chemical reaction with water. Glucoamylase is added to the mash that is in the process of break down by alpha-amalyse. The blucomylase aids the process of making high fructose corn syrup by reacting with the water to chemically convert the starch to sugar. The mash is still a solid mash and with a syrupy consistancy. The sugars are in a solid or crystal form that is converted to a liquid form by adding the enzyme Glucose isomarase to the mixture. This enzyme converts the sugar solids to liquid form. This is important to the process as the starches are still suspended in the mash with the sugars and need to be separated. Following a reaction time the mash is filtered with teh sugars in liquid form passing through the filter yet the starches remian in the mash which is primarily a starch mash following the filtration process. The filtered liquid is a highly concentrated, thick, clear, inexpensive "sugar" mixture known as high fructose corn syrup or hfcs. According to manufacturer's, high fructose corn syrup has a shelf life of about 6 months when stored at room temperature, a temperature of 90 to 100 degrees farenheit maximum is recommended for storage. This may seem high yet consider that much of the storage life of high fructose corn syrup will be in 5 gallon buckets or 55 gallon drums in warehouses which are not fully conditioned spaces. Shelf life that is beyond this six months leads to development of a coloration to the clear sweetener. The higher the temperature, the more intense and rapid the coloration change. Storage at temperatures below 90 degrees leads to the development of crystals from the dextrose of the high fructose corn syrup. This narrow range of storage temperature may lead the reader to conclude that high fructose corn syrup is not a stable product. The short shelf life of high fructose corn syrup is easily seen by examining the crystal soda's such as Crystal Pepsi which was available in the 1980's and 1990's and again in 2017. When we searched for labels for soda's on ebay we came across full bottles of Crystal Pepsi for sale. The images on ebay show the discoloration of the Crystal Pepsi both in the 1990's bottles as well as in the 2017 bottles. The 1990's bottles were the color of a light tea. The claim of high fructose corn syrup manufactures that the syrup discolors at 6 months is quite evident in the ebay images. High fructose corn syrup and products sweetened with HFCS are typically the processed foods and beverages. These are generally products packaged in plastic or cardboard with a photograph or icon image to entice you to purchase the item. High Fructose Corn Syrup is a sugar but also a carbohydrate which must be consumed in moderation. Most doctors and food scientists agree that fresh fruits, vegetables, meats and grains are more healthy than processed foods. These doctors and scientists also agree that the more highly processed a food substance is the less healthy it is. 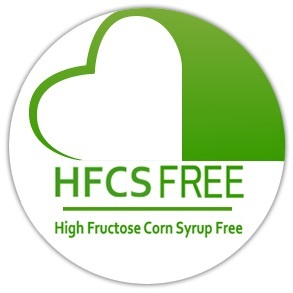 It is undenyable that HFCS is highly processed and should be avoided when at all possible. It is simple, foods sweetened with high fructose corn syrup typically have low nutritional value and empty calories. With the current U. S. population consuming 30% of their daily caloric intake in beverages the obvious result is an obese population. Sugary beverages offer empty calories and result in the body's storage of those calories as fat. 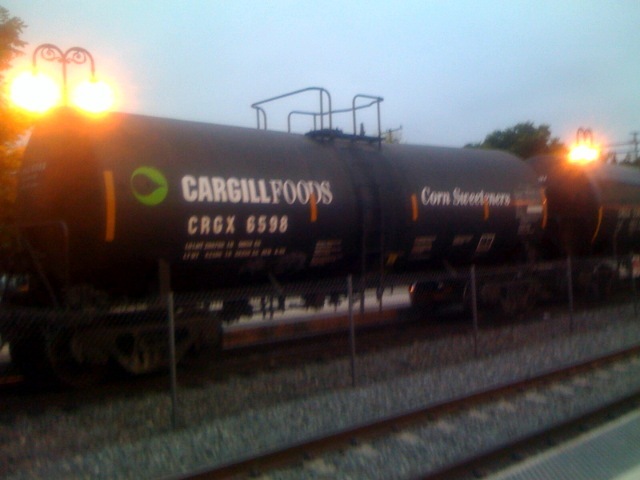 This problem is exacerbated by the hunger signal supression effect that high fructose corn syrup produces witin the body. This effect delays the body from signalign the brain that "I am full" causing a larger conumption of food or beverage. To combat the obesity epidemic consumers will need to take responsiblity for their own body and what the put into it. Low sales of food products sweetened with high fructose corn syrup will result when the population as a whole makes smarter food choices. At that time the manufacturer's who are using the mass quantities of HFCS to addict the populaton to sweets will have to listend and respond. Until that time we offer a few thoughtful ways to consume smarter. Break the addiction to soda's using lemon water. Keep a gallon pitcher of water with three lemons sliced in your refrigerator. Do not use the two end slices as they will taint yesterdays water with a hint of rind. Sweeten this refreshing beverage with natural Stevia to taste. NuStevia offers dropper and spray liquid Stevia or use portion control packages. Add a mint leaf for an added hint of flavor. Break the addiction to soda's using cucumber water which if chilled will be refreshing and flavorful without a sweetener. Order Cucumber water or lemon water at restaurants, this substitution for soda pop will result in an almost immediate reduction in body fat and may enhance your mood. Studies show that soda pops can be altering substances. You may prepare these beverages in mason jars with their tops applied and twisted tight, include a slice of the cucumber in each jar. You can prepare a thred days supply of cucumber water, lemon water, orange water, etc. and refrigerage so it will be just as convenient to grab a fresh and healthy alternative to canned soda. As a general rule, do not drink you calories, strive to achive less than 10 percent of daily calorie consumption from beverages. When shopping at the supermarket try to fill your cart with "things found on a farm". This will rule out highly processed foods and enable you to make a quick judgement call upon whether it belongs in your cart without reading tiny print labels. Foods that look like the came from a farm most likely did and most likely do not contain high fructose corn syrup. Purchase food products that are not well traveled. Foods that come from local growers, vendors and manufacturers tend to be grown without chemicals, contain less preservatives and do not contain high fructose corn syrup. Select food products from our high fructose corn syrup free lists We are adding new industry partner products to our lists on a regular basis so be sure to scroll our lists before every marketing day. Visit local farmers markets and get to know your growers, they know their harvest and are proud to sell it to you. Ask them if it was grown organically and if it contains high fructose corn syrup. Rent a hen, in many locations you can rent a chicken and enjoy farm fresh free range eggs all while time sharing your own henrietta! Due to corn subsidies in The United States of America the at will reversal of production of high fructose corn syrup is not likely. We as individuls must take responsibility for our own bodies and make smarter food choices. Make effort to know where your foods are coming from and how they are handled. Foods tha come from Guatemala are not as fresh as foods that come from your local community. As a rule of thumb, the more miles between you and your foods origin, the more artificial preservatives that are involved. The availability of products that are not sweetened with high fructose corn syrup is becoming epidemic. Lucky's market is opening everywhere, Aldi foods has always offered foods with no chemicals and preservaties and produce that is delivered daily in their Aldi stores and with Trader Joe's they offer more gourmet products that do not contain HFCS. Amazon's purchase of Whole Foods Market has made whole foods shopping available ot more of the population due to Amazon pricing. Other markets such as Publix, Kohls, Kroger and more are offering larger natural and organic selections and more high fructose free alternatives. Urge your market and food vendors to license our icon so that the food products that they produce and offer for sale are more readily recognizable. 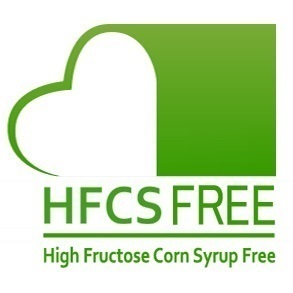 The high fructose free community is rapidly growing and ease of selection is trending within. We are not advocating the end of high fructose corn syrup as a sweetener, we only suggest that you know you options. Imagine if the government spent half of the farm subsidies to subsidies locally grown produce, what a healthy world it would be.